Judy Salz’s illuminating Worthy features realistically flawed characters with a message to deliver. In this character-driven story, four people find themselves thrown together when a 1980 earthquake destroys the hospital they’re working in. It’s an absorbing start, with plenty of emergency-room action and well-informed details; the earthquake also exposes fault lines in each of the characters. Jenny, the hospital’s new attending physician, grew up with a hypercritical, emotionally unavailable mother; she has low self-esteem and is unable to form intimate relationships. Mark, an older-than-usual intern, is shadowed by drug problems that keep him from pursuing the woman he loves. Hospital chaplain Joseph, an ex-con who’s found peace in spiritual commitment, still wonders if he’s fulfilling his real purpose. Cocky young intern Ed rounds out the cast. The plot evolves from the slender connections that the four form during the earthquake and moves in snapshot fashion from 1980 to 2019. The time span gives ample space for relationships to unfold and characters to reveal themselves to each other. Jenny leaves her safety zone and accepts a date with Joseph, who in turn takes the risk of confiding his past to her. As their relationship reaches solid ground, they encourage their friend Mark to reconnect with the woman he loves. When Ed rejoins the group, the characters decide to pool their talents in an undertaking that could benefit millions. Though love brings these couples together, the theme is not as much romance as it is the power of personal relationships to heal the wounds of the past and create support networks that allow individuals to reach their full potential. Medical details shine, especially as the foursome works to find a way to treat cancerous tumors, shedding light on the time, effort, frustrations, and setbacks that go into the search for “miracle” drugs. Though a few conversations verge on sounding like group therapy, and plot points rely too heavily on car accidents and medical emergencies, the story’s quick pace and believable characters outshine its flaws. Perhaps the best part of the book is the message it obliquely delivers: that self-worth involves finding a way to do good. It’s an old-fashioned idea that, in this contemporary setting, becomes fresh and inspiring. 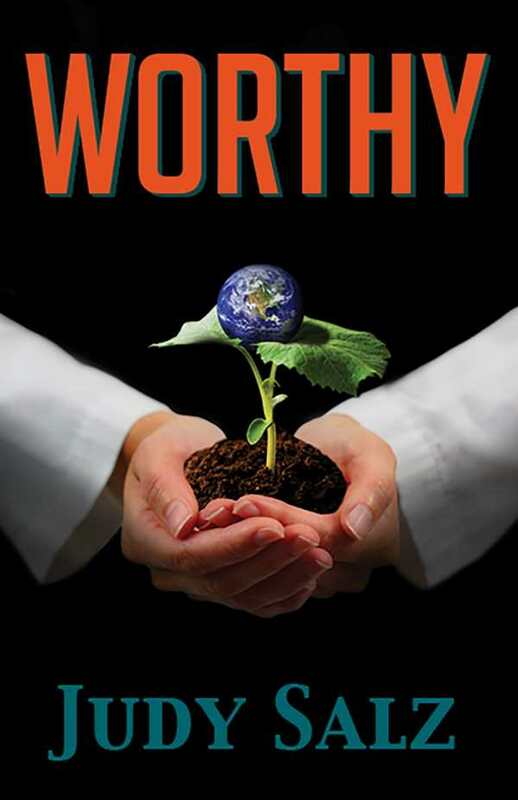 Worthy is a highly readable novel with an uplifting reminder that, even in a world that seems complicated and disaster-prone, ordinary people can still do extraordinary things.